Linde Zuidema is a campaigner at Fern, an environmental group that coordinates NGO activities on forests at European level. Over the past few years, power plants and heating installations across Europe – spurred on by government subsidies – have switched from burning coal to burning biomass in order to reduce greenhouse gas emissions and meet clean energy targets. One source of this ‘green energy’ is the United States, specifically the South Eastern states of North and South Carolina and Virginia. Forests there are being cleared for wood which is pulverised into dried pellets, then shipped across the Atlantic and burned to generate heat and electricity in homes and businesses across Europe. Fern and other NGOs have long sounded the alarm on the destruction this is wreaking. Now policy-makers are taking note. A recent exhaustive study by the European Commission showed that the EU’s seemingly insatiable demand for woody biomass is threatening biodiversity and deforestation in South Eastern US forests. Yet as the evidence of the damage to US forests mounts, the advocates of burning biomass for energy are falling back on another claim to justify the policy: they maintain that while there may be problems with biomass imports from countries with weak forest laws, these problems don’t exist in Europe, which is the main source of biomass for energy, and where forests are well protected by Sustainable Forest Management rules. They argue that there is therefore no need for new strong criteria to ensure bioenergy sustainability. But as growing demand for biomass intensifies the pressure on European forests, arguments around how sustainably they’re managed must be countered – and not be used to distract from the more profound problems that beset the EU’s current bioenergy policy. Sustainable Forest Management (SFM) is determined at national level by EU member states, who have all adopted the FOREST EUROPE voluntary criteria and indicators. These guidelines however, are little more than a useful starting point, since they lack baselines, benchmarks or target levels, as well as key requirements including legality. In reality, the different understandings and traditions of SFM among member states, as well as the critical incoherencies between their forest and land-use policies, means that there are huge disparities in how forests are managed across Europe. In Sweden, for instance, one finds intensive management of boreal forests (with old growth forests being cleared for monoculture plantations). In central Europe more integrated forest management methods prevail (meaning more selective tree cutting is deployed). And in southern Europe, there is a lot of abandoned forest land (which can be good from a biodiversity perspective, but can bring other challenges, relating, for example, to fires or rural development). Yet it’s also vital to note that the harm caused by the EU’s renewable energy policy won’t end if SFM rules and their implementation are not strengthened. 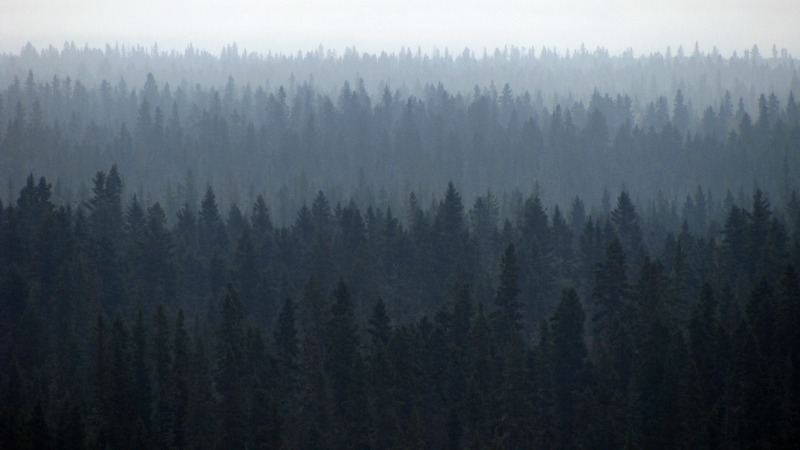 This is because bioenergy sustainability is not solely linked to the way forests are managed. And making SFM the focus of debate is a distraction from the policy’s deeper, inherent flaws which are all related to the scale of bioenergy use. The policy drives additional demand for wood – a limited resource – meaning increased likelihood of unsustainable practices spreading to other forest industries. Bioenergy is projected to rely more and more on materials that have a high risk of increasing greenhouse gas emissions. If you harvest a tree from a sustainable forest and burn it for energy, it doesn’t mean the energy is either sustainable or climate-neutral. To protect forests, the EU therefore needs a renewable energy policy that encourages sustainable sourcing and use of biomass. A policy, moreover, that genuinely contributes to reducing greenhouse gas emissions rather than merely promises to do so. As Bill McKibben puts it, it burning biomass for power is the latest in the “parade of false solutions” used to tackle climate change’s existential crisis. Last sentence is spot on. And is there a risk that given the WHO classification of burning biomass that the EU may ban burning wood as they have considered for glyphosate?